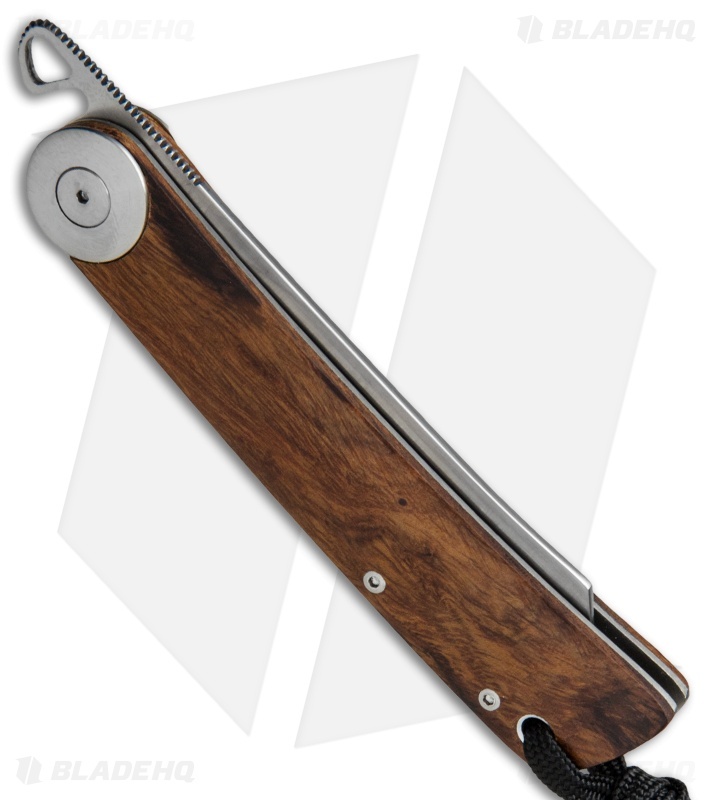 This DB11 Friction Folder from Kansei Matsuno offers a simple yet elegant, custom design. 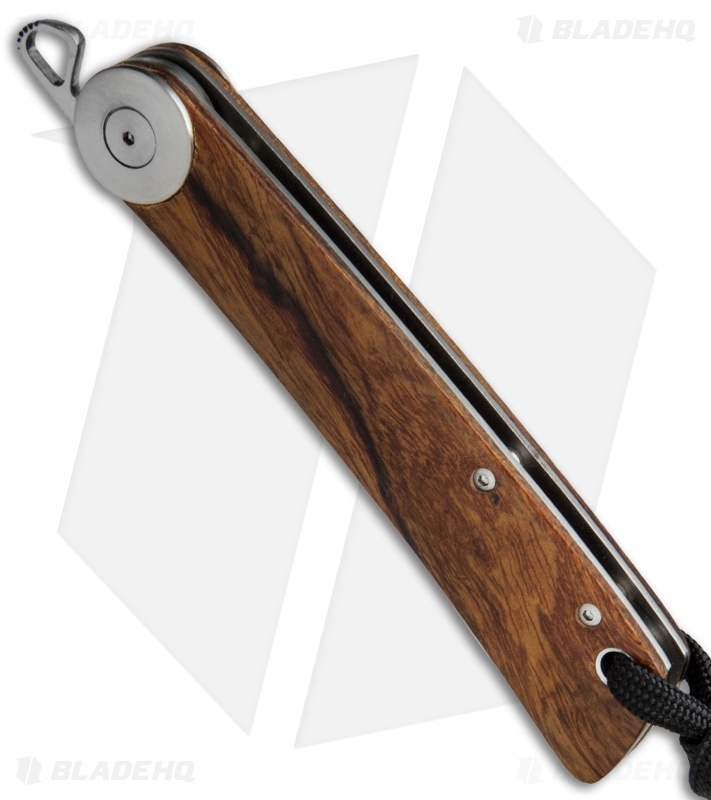 The handle features smooth ironwood scales over titanium liners, a stylish over-sized pivot, and a leather lanyard. 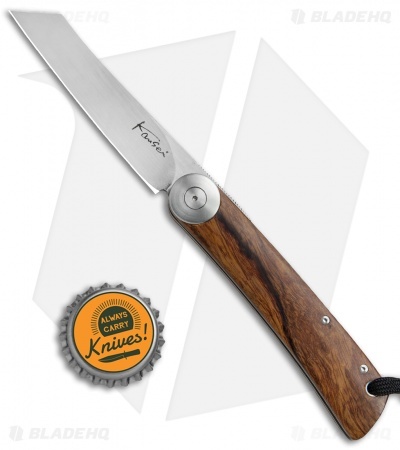 The blade is made from premium stainless steel and comes in a reverse tanto style with a satin finish. 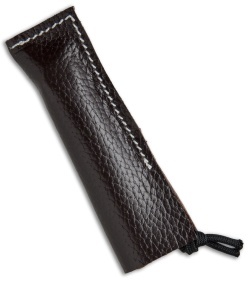 Includes a leather pouch for secure storage and carry. 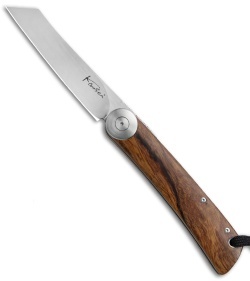 Experience the custom Japanese quality of a Kansei Matsuno knife.